Africa has seen game-changing projects that discreetly collect digital data, which in turn shape governance practices. The panel critically discusses the policies, processes and practices of digital infrastructure technologies and cultures. How has the 'old' extractivism morphed in the digital age? 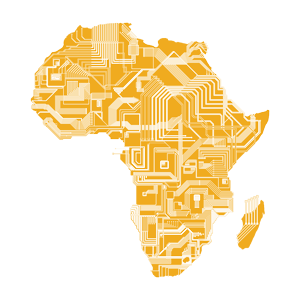 The growing use of digital technologies has intensified the production and circulation of digital data in Africa. A wide range of data are collected openly, often through digital surveys and increasingly so, discreetly via technologies such as mobile apps, text messages, satellite data, and smart captors. Far from simply following trends established in the West, the Global South, and Africa in particular, has become a place where game-changing projects are experimented, from mobile money to the implementation of national biometric identification systems. Several scholars have already suggested that those practices constitute new forms of quantification, control and surveillance over people's lives. There is no absolute 'raw data', for data is always generated, used and analysed; and this process implies a substantial use of interpretative work. Those practices correspond to new forms of governing, producing value, and shaping subjects. They emphasize the uses of personal data by governments and private companies without the explicit agreement of the users. They also question older paradigms such as social accountability and the participatory governance of the public space and services. This panel will critically discuss the policies and practices of digital infrastructure technologies and cultures around Africa. Through different case studies, it proposes to deepen and complexify both technocratic and techno-optimistic views on data and social services and understanding of governance that are too narrowly focussed upon traditional centres of power. Ultimately, it seeks to understand the extent to which older modes of relation such as imperialism/extractivism have morphed in the digital age.